Campylobacter infection is a common foodborne illness. You usually get it from eating contaminated food, especially raw or undercooked poultry. You can also get it from drinking contaminated water or raw milk, or handling infected animal feces (poop). Health care providers use stool tests to make a diagnosis. Most people get better without treatment. You should drink extra fluids for as long as the diarrhea lasts. People who have a severe infection or a weakened immune system may need to take antibiotics. In rare cases, the infection can cause reactive arthritis or Guillain-Barre syndrome. 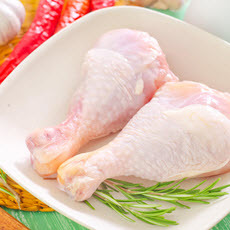 To prevent Campylobacter infection, cook poultry thoroughly. Use a separate cutting board and utensils for meats. Make sure to clean them carefully with soap and hot water after you use them. Article: Campylobacteriosis Outbreak Associated with Contaminated Municipal Water Supply - Nebraska, 2017.